Here's why SMBs need to stop letting these three barriers hinder their digital transformation. It’s no secret that cloud technology has been leading the movement towards digital transformation. In fact, a recent survey found that 83 per cent of enterprise workloads will be in the cloud by 2020. However, the statistic doesn’t account for small and medium-sized businesses (SMBs), which have traditionally been hesitant to adopt cloud technology – or any technology, for that matter. While some SMBs are recognising the value of moving their operations to the cloud, many are still faced with hurdles that are preventing their digital transformation. Notably, concerns around security, maintenance and costs are burdening small business owners, particularly those who don’t have a dedicated IT person to manage it all. However, what many of SMBs don’t know is that the cloud can alleviate the daily stresses of monitoring data security, housing expensive hardware and dedicating teams to maintain it all. While all businesses are at risk of data breaches and cyberattacks, SMBs are particularly vulnerable. According to Small Business Trends, 43 per cent of cyberattacks specifically target small businesses. Unfortunately, the same study found that upwards of 60 per cent of small businesses that fall victim to a hack will go out of business within six months of being hit. With that in mind, it’s not surprising that security is one of the top barriers to cloud adoption for SMBs. When it comes to securing business data, the concept of moving information to a place that does not live within the walls of the business can be unnerving. However, keeping data locked up in a hard drive can actually lead to disastrous consequences. According to the creators of World Backup Day, more than 140,000 hard drive crashes occur each week in the U.S. The estimated cost of this failure and resulting disruption to the average small business would amount to $15,000 per day. The potential risks don’t end there; by relying on hardware, SMBs are also extremely vulnerable to ransomware attacks. In September 2017, Hickory Home and Garden Center, a small retail business in Hickory, NC, fell victim to a vicious ransomware attack. Not only were all the files on the server encrypted, but the attack had also encrypted everything on the external hard drive the company used as a backup. After this incident, the company sat down with their ERP provider to understand how a cloud solution might have prevented this from happening. They learned that their data would have been secured from the start through their provider’s strong firewalls, penetration and vulnerability testing and layered storage capabilities – all of which are key benefits of the cloud in preventing cyberattacks. It is extremely important that small businesses understand the implications of refraining to move their data to the cloud. While business data might not be physically in the owner’s hands everyday like it is with hardware, it is just as accessible and even more secure when stored in the cloud. A survey report from Techaisle LLC found that the fourth biggest challenge that SMBs face, following budget constraints, mobile security and excessive data growth, is finding qualified and trained people to manage their IT applications. To combat this, SMBs should look for a provider with data centres that are managed by professional IT personnel with experience in the cloud environment and who dedicate themselves to maintaining the success of their customer’s software. Prior to their cloud adoption, Hickory Home and Garden Centres had to back up their servers to an external hard drive every day. Afterwards, they backed the servers up to a flash dive, which ate up too much of the team’s time. They would have to go into the store early and stay late in order to maintain the software updates and tend to other maintenance issues. Instead of searching for in-house resources to maintain IT structure, SMBs should identify cloud providers that offer trusted support for their cloud maintenance needs. Added costs to a small business’s tech stack is always a topic of concern to owners. However, moving to the cloud makes operations significantly more affordable for small businesses. 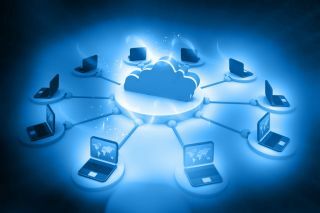 According to NSK Inc., 82 per cent of companies have saved on costs by utilising cloud technology in their business. Instead of setting up a local system that requires annual investments in maintenance and trained IT staff, cloud providers are pooling their resources to house large-scale data centres for their SMB customers. Although switching to the cloud may come with slight upfront costs such as installation or migration, in the long run, it will save small businesses a lot of money. Small business owners who let concerns around security, maintenance and cost prevent them from moving their processes to the cloud are at risk of falling behind as their competitors embrace digital transformation. With secure and reliable data protection capabilities, efficient server maintenance personnel and cost-effective subscriptions, identifying a cloud provider is the simple answer for any SMB to alleviate the common stresses of data security, hardware maintenance and overall technology costs. And, while it is smart to weigh out the options and potential risks of adopting a new technology, it is also important that small businesses consider how their current operations might be hindering them more than they realise.